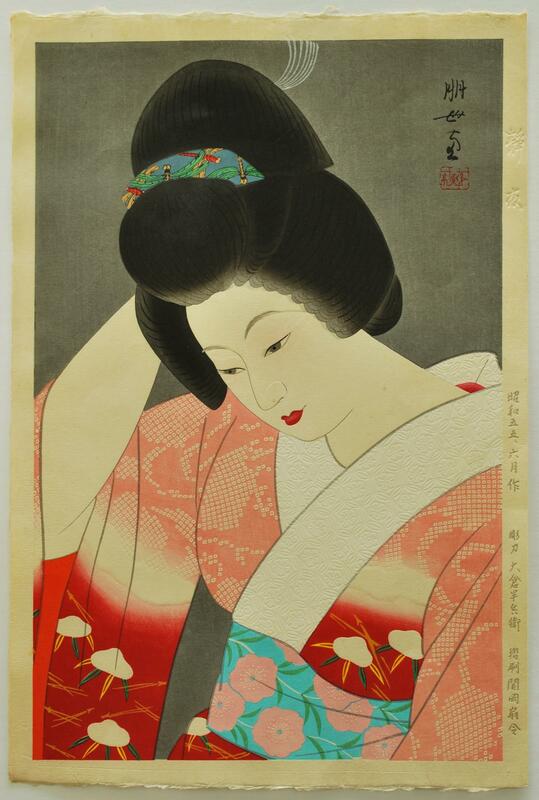 We have a pleasure to introduce you our Japanese art collection. 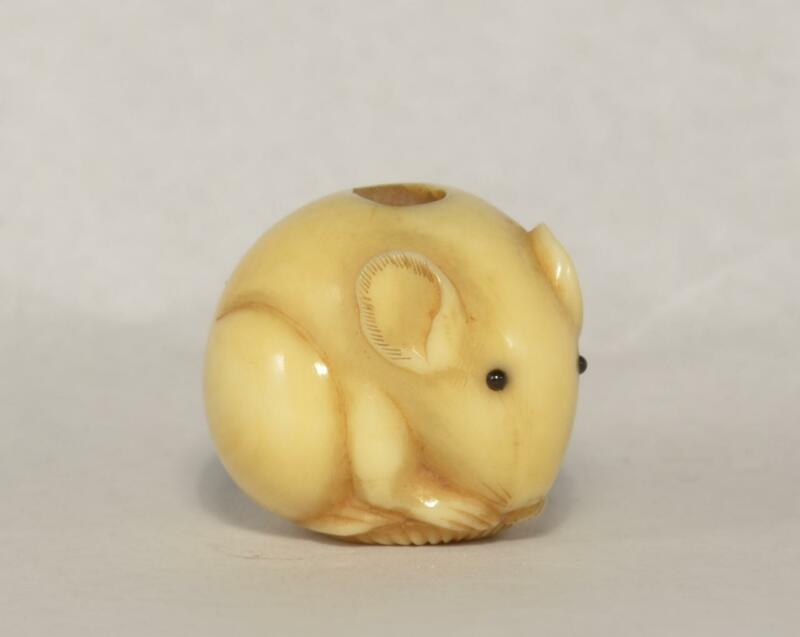 It is divided in the following order: Netsuke, Okimono, Cloisonne, Bronze, etc. 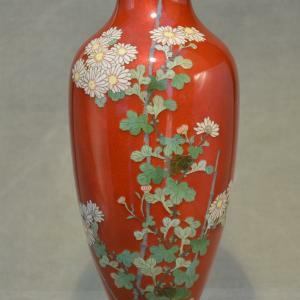 Please clik the title to get direct acces to the collection you want to discover. 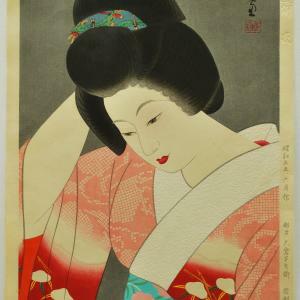 European cloths were introduced us. 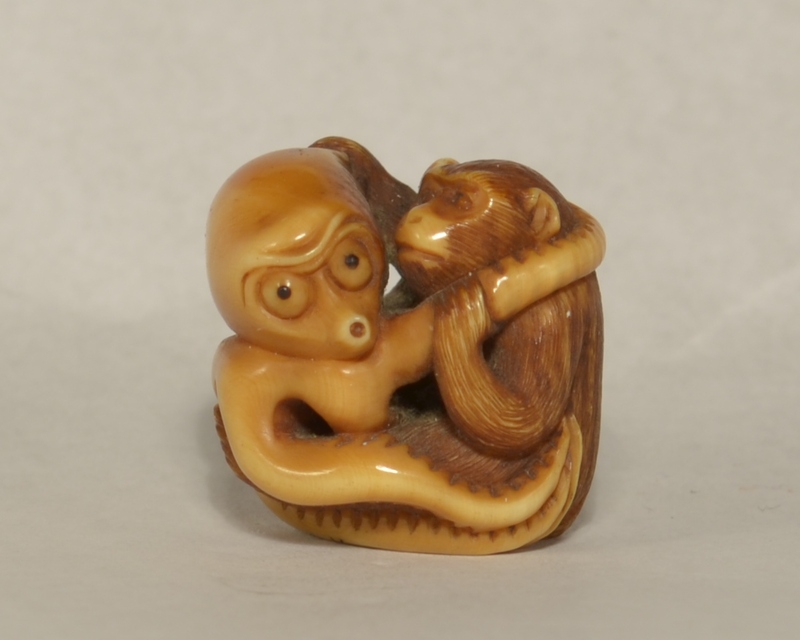 medicine case), and hang on the belt with Netsuke. 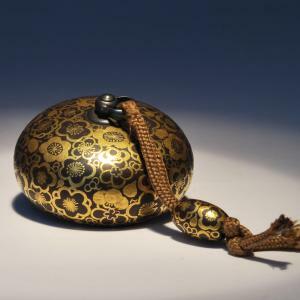 It helps to keep them staying on the belt. 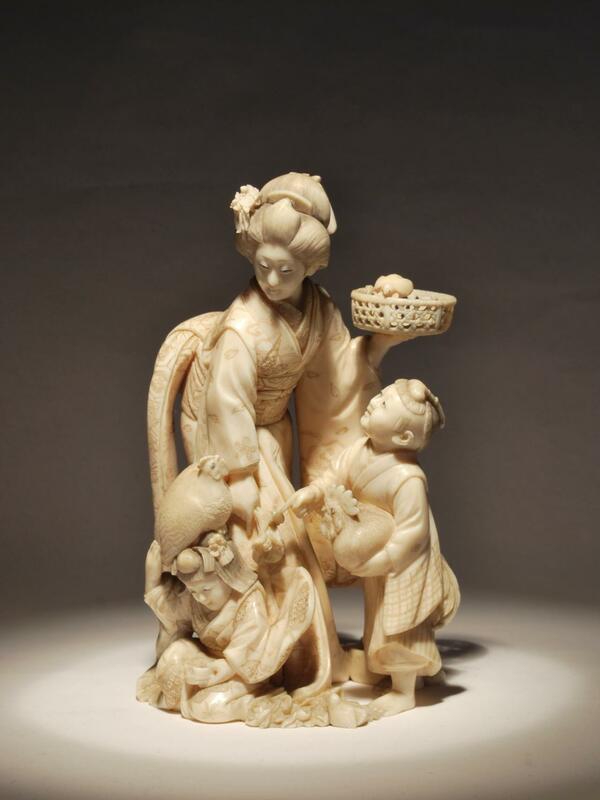 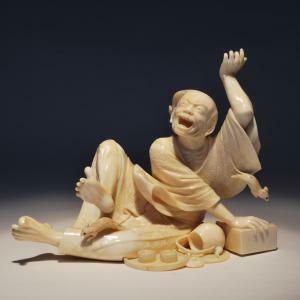 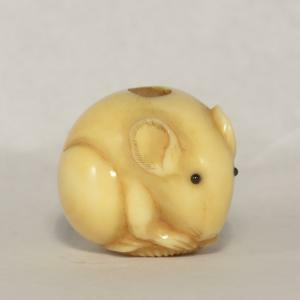 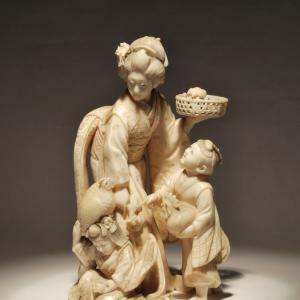 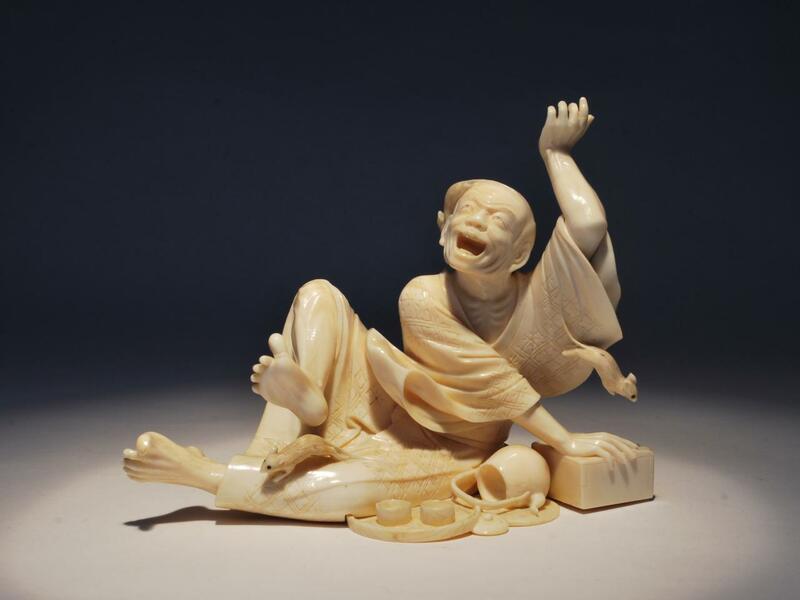 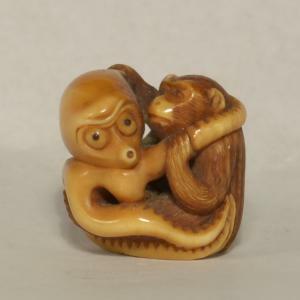 Our Netsuke collection consists of high quality pieces from 18-20th century. 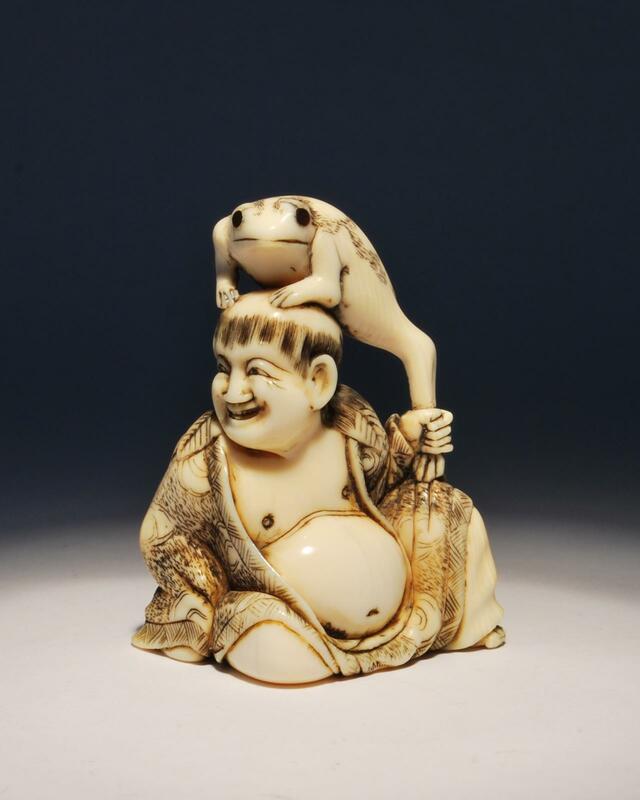 All these netsukes are not a simple sculpture but it tells a daily life story with humor, Japanese myth,etc. 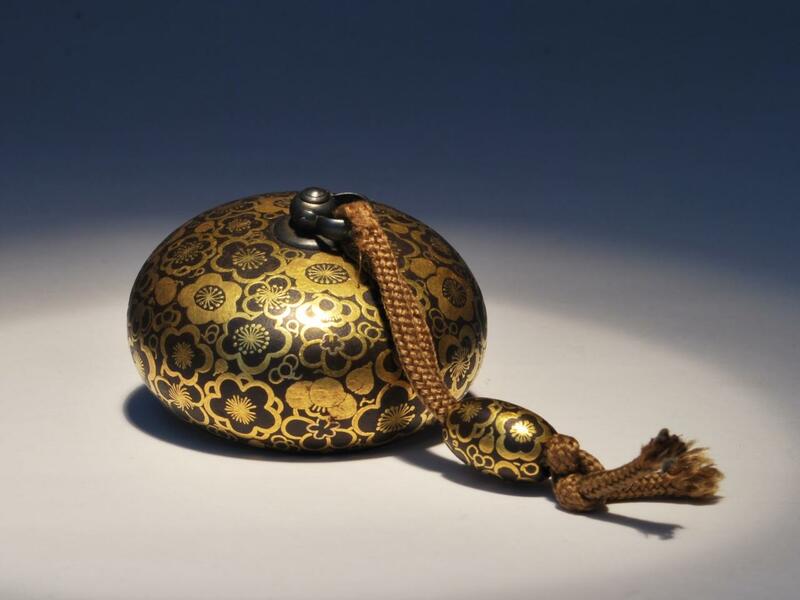 Our Okimono collection consists of refined pieces from 19-20th century. 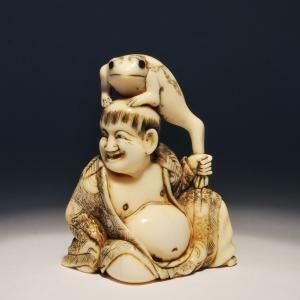 This collection reflects Japanese daily life and myths, etc. 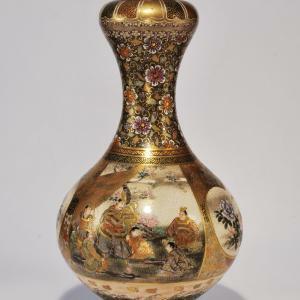 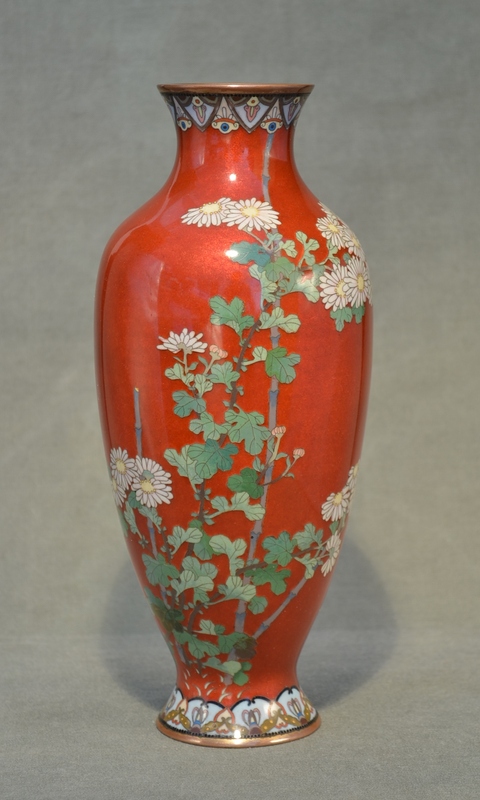 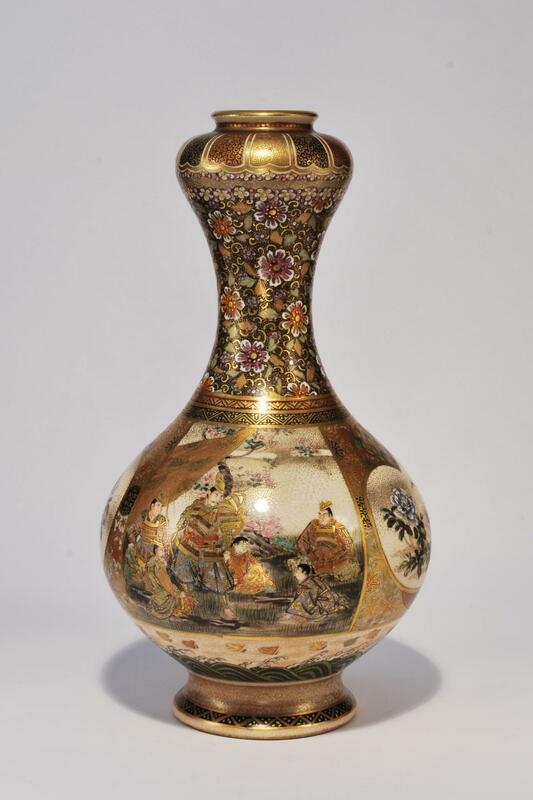 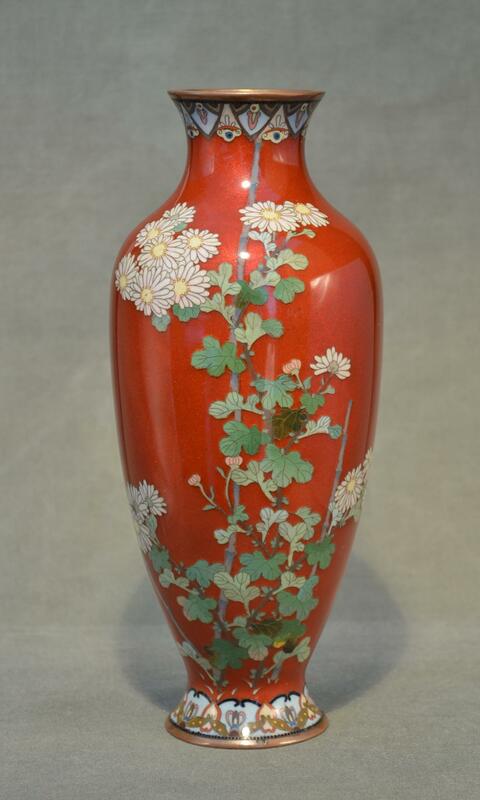 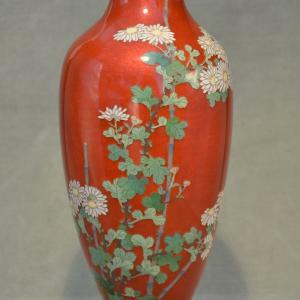 Our Cloisonne collection consists of high quality pieces from 19-20th century.